Have you ever noticed the effect that your thoughts have on you? If you are always worried about getting sick, you eventually fall sick. If you always think about being a strong willed person, you eventually become it. Many great people have talked about the effect that your thoughts have on you. As Vivekananda said, if you take up one thought, dream about it and think about all the time, it will become true. The power of the mind is unquestionable. So is the power of prayer done with complete faith. Whatever things you ask when you pray, believe that you receive them and you will have them. Whether you believe in God or not,you should believe in the power within and its ability to change us. Over the years I have come across a few prayers or wise words that really inspired me. I usually read them before bed and it has a very profound effect on me. I thought I'll share them with you guys. Read them slowly, taking time to understand their meaning and then think about it. It will definitely touch you. This is one of the most beautiful prayers I've ever come across. Every time I read it, it fills me with joy. Its taken from the Buddhist scripture and talks about loving everyone and everything around you. The subtle and the gross. Katy Perry's voice blared from the stereo system as we sped through NH17. Kyra was singing along drumming her fingers on the steering wheel. As usual Kyra looked great, in her mint green knee length strappy dress. I really envied her. How could she wear such clothes in summer and not worry about the sun? I looked down at my long sleeved shirt and long pants and wondered. Monica was slumped at the back seat, her head resting on a cushion and slighty bobbing to the rythm of the song.Her baggy jeans and tank top looked a bit oversize but that was her way of beating the heat. I looked at the map on my lap for one last time and folded it up. "We are on the right path, we should reach Goa in around two hours!" I declared. "Yeyy.. we are gonna have so much fun! The sun, the beach, the boys..wuhoo..here we come Goa" Kyra cooed excitedly. "Brrr.. don't remind me about the sun. I hate the sun. I don't know why I decided to come with you guys to Goa in this sweltering summer", Monica grunted." Come on Mon, I promise, you are gonna love it!" Kyra winked at me. "Ky, even I'm not comfortable with the 'sun' part! I wouldn't wanna have fun at the expense of getting a tan", I said. " Come on you two, don't be such spoil sports. Haven't you heard anything about using sunscreen?". " Oh yea, but sunscreens don't seem to work on my skin. I get tan even after applying them", Monica said. " I agree with Mon, even my sunscreen isn't really effective. It has this greasy texture and it is so heavy that it makes me look like a doll. "I supported her. " Yea, exactly. Some of the sunscreens have this shine and after I apply them, I start looking like Edward Cullen in sunlight. All shiny shiny." Monica complained. We couldn't help smiling at her comment. 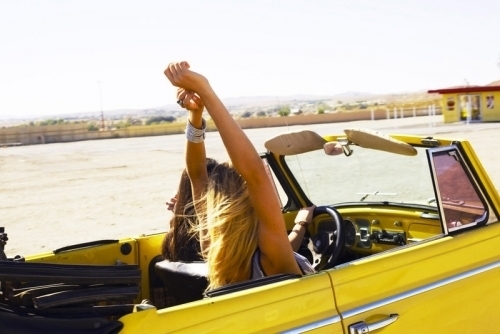 "Choosing a good sunscreen is as important as using them. You have to consider a few factors while choosing one", Kyra said. Its the measure of effectiveness of a sunscreen against UV B rays of sun that cause sun burns and tan. The more the spf, the better the sunscreen. Indian skin requires an spf of 30 or above for effective protection. It is the measure of effectiveness of sunscreen against the dangerous UV A rays that cause skin aging and cancer. Depending on the effectiveness, they are graded as PA, PA+, PA++,PA+++. The latter being the best. A sunscreen which provides protection against UVA and UVB rays is called a broad spectrum sunscreen.
" Its also important to choose a sunscreen which suits your skin type and then applying them liberally on your skin about 20 minutes before going out in the sun. You also have to make sure that you reapply it after every two hours. " Kyra concluded. "Pheww.. it looks like a huge task selecting the right sunscreen." I exclaimed. "Nope. It’s not. 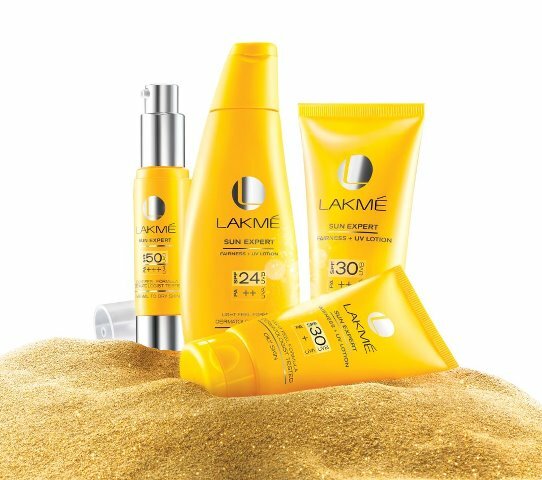 I'll tell you the easiest way to choose the right sunscreen- use Lakme Sun Expert! It is a broad spectrum sunscreen with non greasy, non shiny formula that is light and easy to apply. Try it on and you are gonna enjoy summer like never before!!" I lay down and watched the world. Its fun in the sun, it’s the beach time! To be happy always, isn't that what everyone wants? Imagine if you could be perpetually happy.. life would be heaven. If there was some medicine for being happy, everyone would have bought a bottle. But unfortunately happiness is one thing that keeps eluding us. Of course not for all but that would be true for majority of us. Sitting at home practically doing nothing, I figured out a bit about happiness. I have always thought that all I ever want to do is lie down on my sofa and watch TV all day long , read some good books in between and sleep sleep and sleep-my idea of a perfect happy life. And I got just that. I got to sit at home and watch tv for endless hours, got a few interesting books to read and I could just crawl under my blanket and sleep all day. But here is the surprising part - I hated it! Two days into my supposedly perfect happy life and I felt like I could smash the TV and get out. I thought I knew myself but I was wrong, I thought I knew exactly what I wanted, again I was wrong. I've got this feeling that life is all about figuring out yourself. You learn a lot on the way.. make a lot of mistake and when you think you have finally figured out yourself..BANG! life throws another surprise at you and you are stranded..confused..wondering who you really are.. the game of life! The first and the most important rule of this game is NEVER BE AFRAID TO MAKE MISTAKES! Everyone makes mistakes, truck loads of them. Making mistakes is ok, good in fact, but not learning from them is the big mistake. One of the most sensible things I've ever heard anyone say is not to take yourself seriously. 'Sing You Home' is a beautiful book which addresses some serious moral issues. Contemporary fiction is my favourite genre. So I was delighted to get hold of this book by Judy Piccoult. Though I couldn't read the same author's ,'My Sister's Keeper',I have watched the blockbuster movie based on the story and I simply loved it. It was one of the most touching stories I have ever come across. So, with a lot of expectation, I sat down with 'Sing You Home'. It revolves around a music therapist, Zoe. Zoe is married to Max, a landscaper. Max and Zoe have some fertility issues due to which Zoe is unable to conceive a child. In spite of undergoing several fertility treatments, she fails to give birth to a child and bears the history of two miscarriages and a still born baby. Zoe is desperate for a baby and is ready to go to any extend for it. But the long and tedious procedures and the emotional and financial strains involved with the process has drained out Max. He finds it unbearable to carry on his relationship with Zoe and files for a divorce. To overcome the pain of the divorce and birth of a stillborn, Zoe devotes herself completely to her career. Working with a suicidal student at the local school, she becomes close to the school councilor, Vanessa. The friendship between the two grows and blossoms into love. Zoe realises that it is Vanessa that she wants to be with forever and they get married. Zoe's desire for a child is rekindled when she realizes that there are three still frozen embryos from her marriage with Max stored away at the fertility clinic,which could be used by Vanessa to bear their child. Meanwhile Max has found redemption in an evangelic church and he is accepted into his rich and religious brother Reid's home. Max is happy and content living with his brother and sister-in-law and being the right wing man of Pastor Clive, a staunch opposer of homosexuals.Zoe approaches her fertility clinic with the request that the embryos be gestated on Vanessa. But she has to get permission from her ex-husband Max for using the embryos. So she approaches Max seeking his consent. Max who hadn't given much thought to the embryos is suddenly confused if letting his child grow with two moms is gonna be alright specially now that he believes homosexuality is a sin. Things get out of Max's hand when Pastor Clive finds him a lawyer who is also a homosexual hater to sue against Zoe and prevent her from having the embryos. Clive and his lawyer argues that allowing homosexuals to raise children will spell doom for traditional family system. Fight for the embryos take up an ugly form as media and church is dragged into the scene by Pastor Clive and his lawyer. Soon the court is thronged by media and people from church. Max is appalled by the turn of events and is torn between his desire to win the case and give the embryos to his brother and wife(who also suffer from fertility issues and haven't been able to conceive) and the knowledge that no one could ever want the embryos more than Zoe did. The nail biting climax ends in a series of unexpected events. I found the tag line of the book, 'you can't choose who you love' very interesting. The whole story of Zoe can be summarised with the line. Being a homosexual isn't anyone's choice. As the author rightly points out, no one would choose it,knowing about all the hurdles that they will have to overcome just because of their sexual orientation. Judy has succeeded in conveying the pain and insecurities experienced by homosexuals in a society where they are seen as outcasts.The story is told through the eyes of the different characters and the plot is beautifully crafted. Life would have been easy if there was an absolute right and absolute wrong. But its rarely so. I have always wondered how these writers can get into the shoes of other people and write it from their perspectives penning their emotions. Its easy to write an autobiographical work but its damn difficult to write about things that we are not so familiar with. I guess its all about understanding human emotions and minds and then doing lots and lots of research. I truly respect writers for this very reason.